The earth's oceans hold many wondrous surprises--be they the small, colorful "critters" off the coast of Papua New Guinea, opportunistic red demon squids in the Sea of Cortes, or naval wrecks in the lagoon of Bikini Atoll. 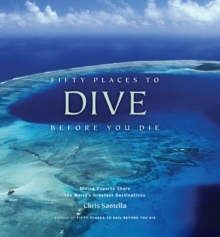 In Fifty Places to Dive Before You Die Chris Santella has invited diving experts from around the world to share some of their favorite destinations, so ardent divers can experience these underwater wonders for themselves--either on location in their SCUBA gear, or at home in their armchair. 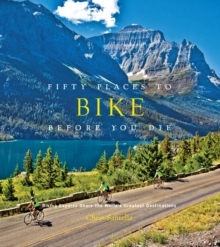 The fifth in Santella's bestselling "Fifty Places" series, the book takes divers from hot-spot destinations like Raja Ampat (off the coast of West Guinea) to old Caribbean favorites like Grand Cayman Isles. Readers will swim among whale sharks off Myanmar, befriend wolf eels off the coast of Maine, and marvel at the giant mola mola of Lembognan, Indonesia. These wonderful creatures--plus the brilliant coral reefs that often provide their backdrop--are captured in 40 gorgeous color photos from the world's greatest underwater photographers. 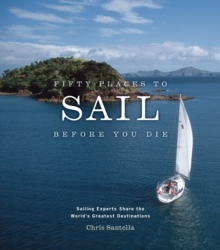 And for readers who want to travel to these breathtaking locales, Santella provides complete "If You Go" suggestions to help you plan your trip.